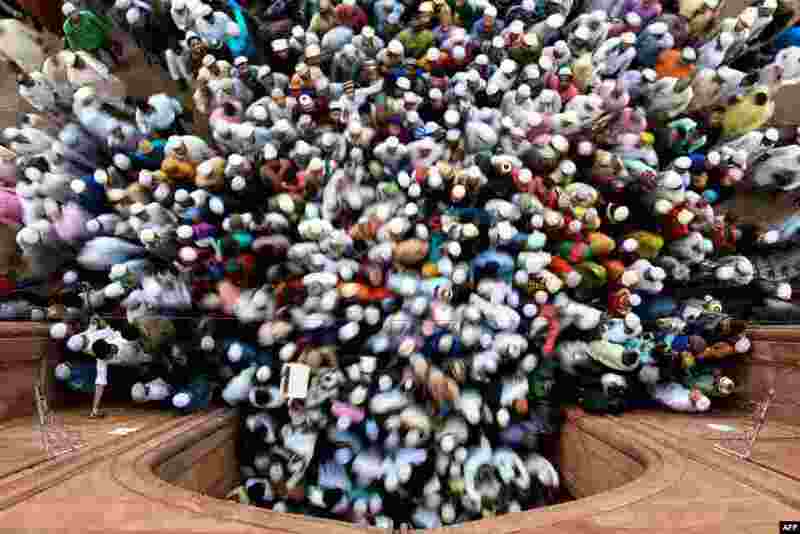 1 Indian Muslims leave after offering Eid al-Adha prayers at the Jama Masjid mosque in New Delhi. 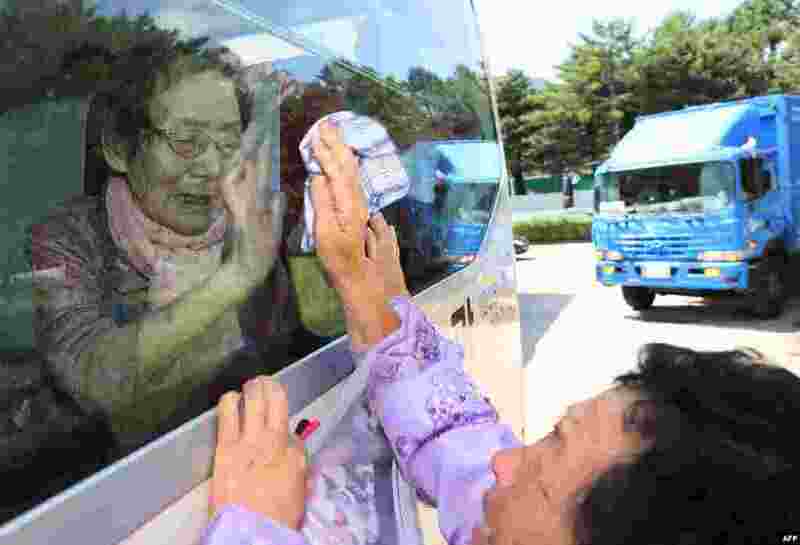 2 South Koreans (on the bus) bid farewell through the window to their North Korean relatives at the end of a three-day family reunion event at North Korea's Mount Kumgang resort. Elderly North and South Korean family members were allowed to meet for the first time in nearly seven decades. 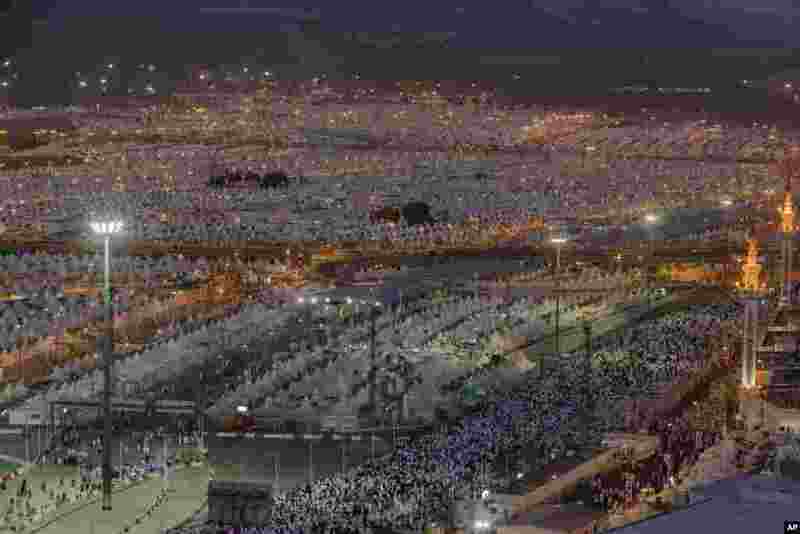 3 Muslim pilgrims walk back to their tents after casting stones at three huge stone pillars in the symbolic stoning of the devil during the annual Hajj pilgrimage in Mina, outside the holy city of Mecca, Saudi Arabia. 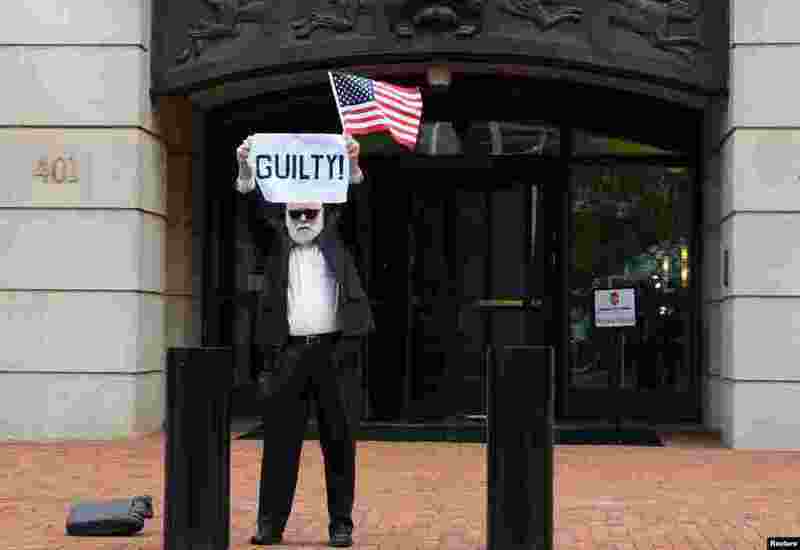 4 After a guilty verdict on the first count, an unidentified man holds a sign outside the U.S. District Courthouse in Alexandria, Virginia, Aug. 21, 2018, for the fourth day of jury deliberations in former Trump campaign manager Paul Manafort's trial on bank and tax fraud charges.